Right now, Trader Joe’s has Organic Rainbow Carrots, which make for a beautiful Paleo pasta dish! 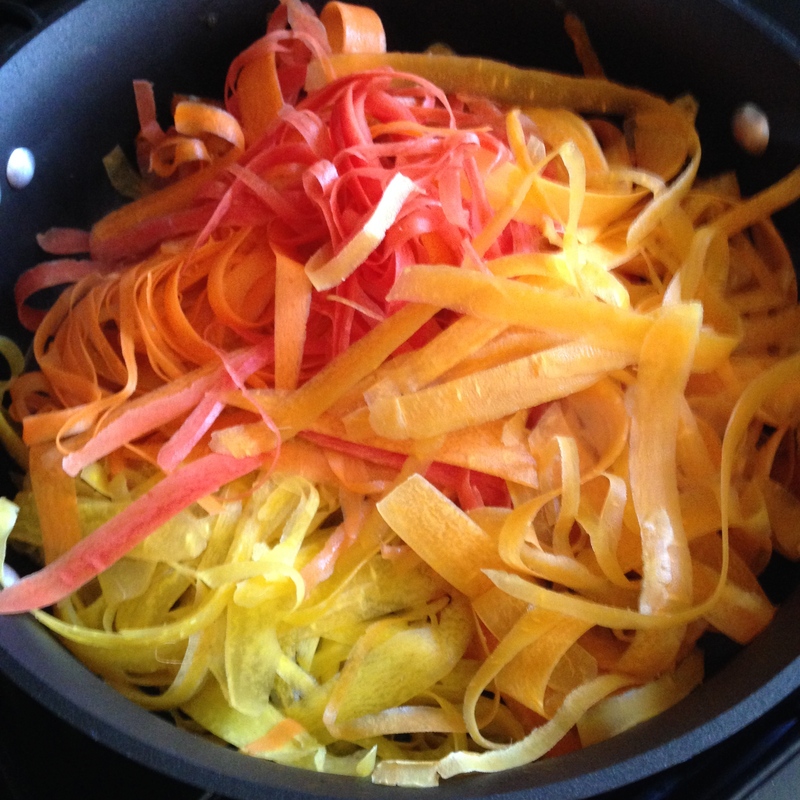 Using a vegetable peeler, make pasta strands with the carrots. Throw the “noodles” into a skillet with a little oil over medium heat and lightly sauté until barely wilted (you don’t want to over cook or they will be mushy). In a food processor, add cilantro, lemon, garlic, and pepitas. Blend well. Add olive oil and mix until desired consistency. In a skillet, heat coconut oil over medium-high heat. Add shrimp and cook until pink. 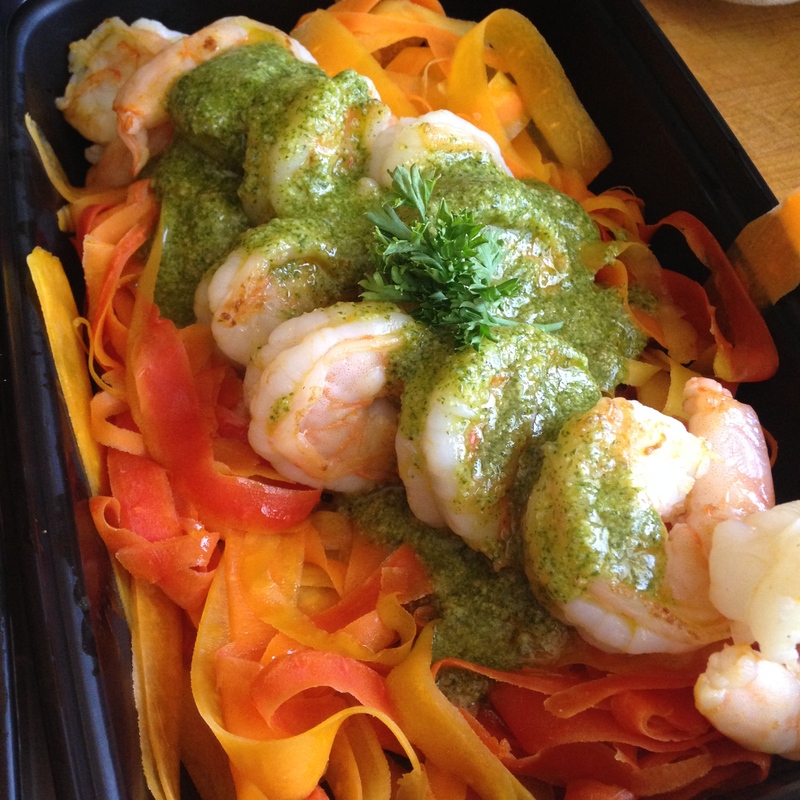 Top prepared noodles with shrimp and drizzle pesto on top.